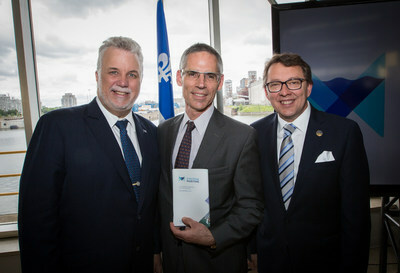 QUEBEC, July 6, 2018 /CNW Telbec/ - Today, Federal Fleet Services and Davie Shipbuilding announced that as part of its Maritime Strategy Fund through the Quebec Shipbuilding Support Program, the government of Québec joins JP Morgan and Anchorage Capital as part of the financing syndicate in the first Resolve-Class Naval Support Ship, m/v Asterix. The government of Quebec is investing $188m alongside another $300m from investment banks. Spencer Fraser, CEO of Federal Fleet Services, said "We are very pleased to have the Government of Québec join our financing syndicate alongside our partners JP Morgan and Anchorage Capital, thereby reaffirming their commitment to the marine industry and to Canada's largest shipbuilder. This is a win-win transaction for Davie and the Government of Québec. It frees up some of the cash which was invested into building the ship and will be exclusively reinvested in the shipyard. It also allows the Government to make a profitable, risk-adjusted investment to bolster the province's marine industry which will be fully repaid." James Davies, president of Davie Shipbuilding added, "The Resolve-Class Naval Support Ship has been a hugely successful program. After delivering on time and to budget, Federal Fleet Services is now operating the ship on a long-term lease to the Royal Canadian Navy. With a stable cashflow coming in from the lease to the Royal Canadian Navy, we have been able to free up the cash used during the construction in order to continue investing in the shipyard as we take on imminent, new projects such as the construction of icebreakers, ferries and the repair and refit of the naval fleet. It is a testament to the vision, forethought and competence of the Province that the Shipbuilding Support Program has been designed, implemented and successfully deployed. This low risk investment program allows Québec to propel its maritime industrial cluster back to the forefront of the shipbuilding industry in the Western hemisphere. We are proud to be part of this success and incredible achievement by the Province." Davie and Federal Fleet Services are part of the Inocea group. While Davie focuses on shipbuilding, Federal Fleet concentrates on obtaining contracts and on vessel rental. Davie is Canada's largest and most experienced shipyard. It is also the highest capacity shipyard in Canada, with 50% of the country's total capacity. Over the last six years, Davie generated more than 2.7 G$ in economic impact in Canada and employed, up until recently, directly and indirectly, over 3 000 Canadians, including 1 400 at the Lévis shipyard, in the province of Quebec. For over a century, Davie has been in charge of the construction and the repair of each major vessel class. Today, Davie is a leader in the icebreaking, LNG and dynamic positioning technology fields, as well as in naval and other crucial shipbuilding domains. Davie is an ISO 9001:2015 (quality assurance) and ISO 14001:2015 (environmental management) certified company. 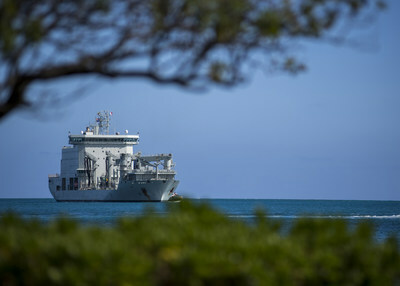 The first replenishment ship built by Davie, the Asterix, was the first naval vessel to join the ranks of Green Marine, the most important environmental certification voluntary program for North America's marine industry.